The lack of big city news coverage and government agency involvement leaves independent photographers with the responsibility to document the breathtaking culture. The responsibility falls on these same people to bring awareness to epidemics sweeping it, such as rampant drug abuse, alcoholism, and suicide. Native American communities have a suicide rate of nearly double that of the rest of the country. 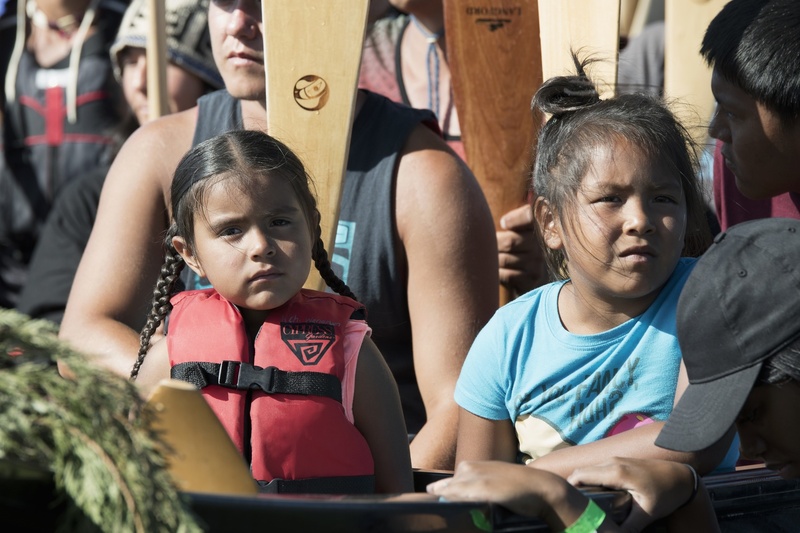 It's a heartbreaking epidemic that sweeps all Native communities, including my own. 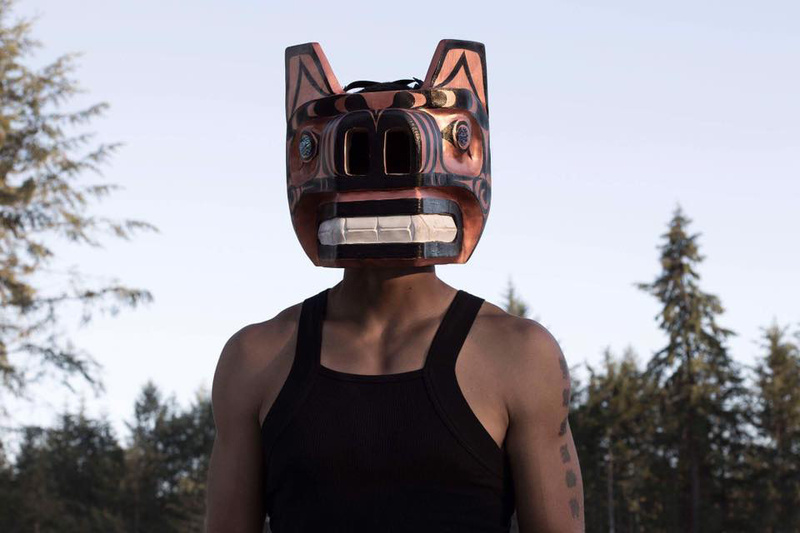 To bring awareness to deep-rooted issues in my culture I teamed up with videographer Zach Erwin, for a photo and video project titled "Still Here" to spread awareness of these forgotten problems and issues beneath the radar, and to share the blissful and powerful imagery of healing our communities with tradition. 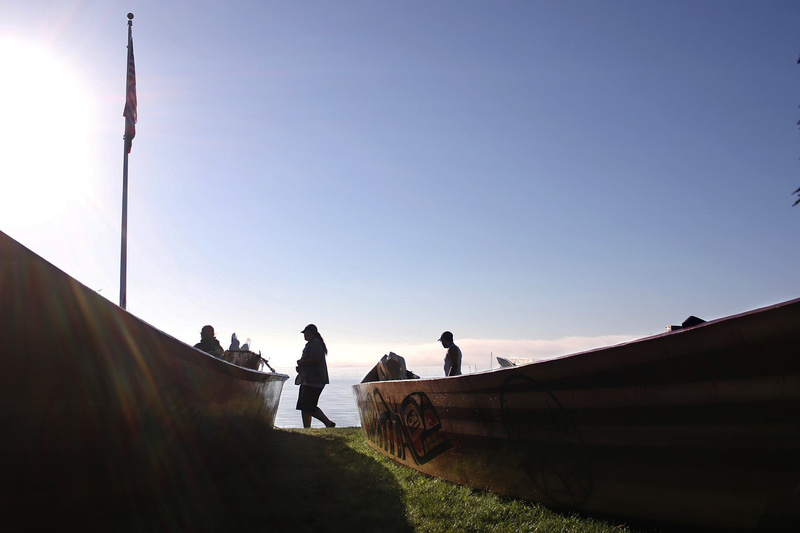 This footage was captured during the yearly Northwest Coast Tribal Canoe Journey, where thousands of Native people, young and old travel by canoe to a final landing destination. For two weeks we camp along the way hosted by different tribes. 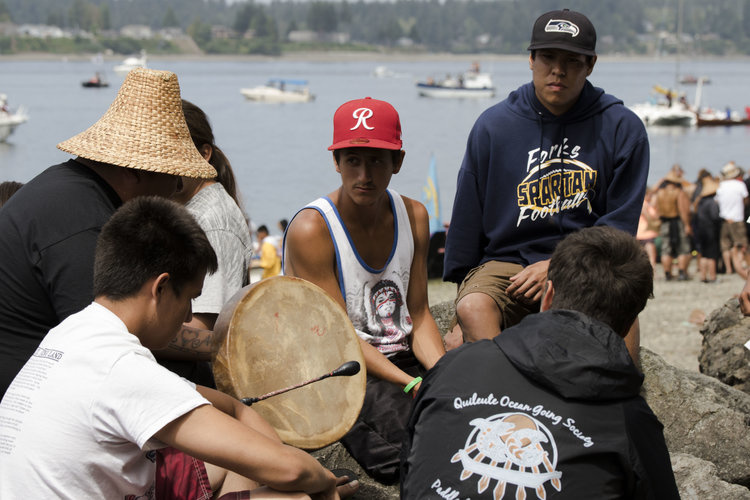 Traditional songs, dances, food, crafts, and stories are shared all day. 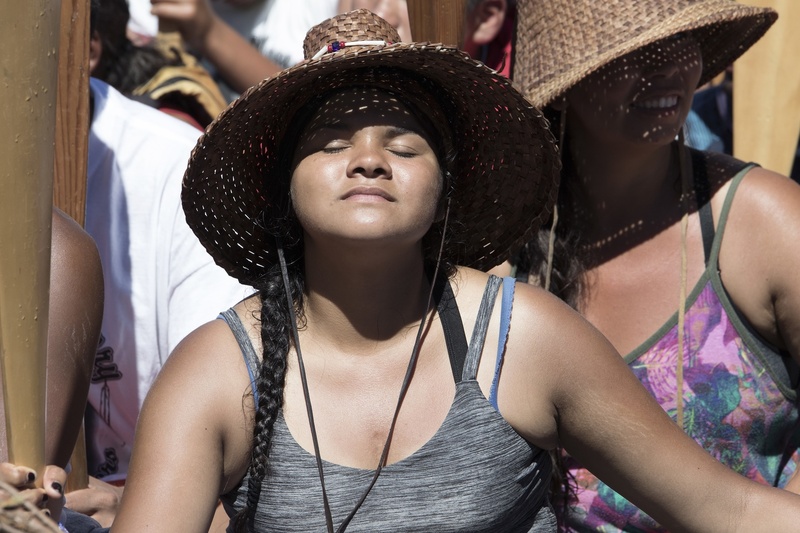 The purpose of this journey is to promote sobriety by coming together in our traditional ways and reteaching our culture that was once lost, to the youth. Our goal was to bring awareness to both the positive cultural practices and to cast a spotlight on the devastation with these heart-wrenching interviews. In the social media influenced times, we know that the masses often don't believe what they don't see, so with this project, our hopes are to show you that we are still here and that we fill every day of our lives with effervescent culture and community. The majority of people are severely misinformed about modern-day Indigenous life, and we counter that by painting the entire picture, showing you the good while you hear stories of the bad. In doing this we hope to avoid thoughtless, immediate judgment from drug and suicide statistics. The vast drug and alcohol use is often misunderstood by the public, therefore, it's never truly addressed. To those who know nothing about us, substance abuse is often seen as a staple of our culture but in reality, it is completely against our beliefs, the epidemics came after and because we were broken and shattered by the European inflicted genocide and enslavement of our ancestors. Our struggles come from people who thought they were superior to us, they forced what was left of our ancestors to no man's land, took their names and traditions away and introduced them to alcohol instead, it has left us devastated. Inferiority became our norm; we internalized the results of the pain inflicted upon us. Through photography we share with you, us taking back our true norms of community-wide sobriety. 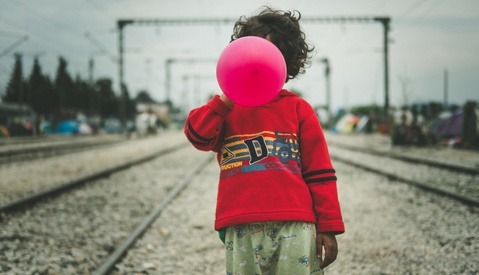 Photography proves we are more than a forgotten people only to be seen in inaccurate textbooks. Photography shows that we are not alcoholic savages, we are peaceful, playful, positive people who are always surrounded by family and sacred traditions that have become a rarity in modern America. 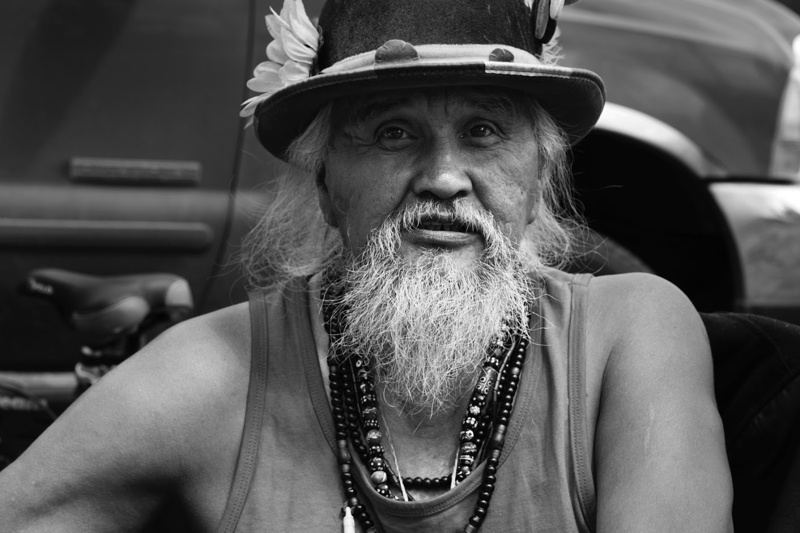 To help us heal and spread our peaceful ways, next time you pass a tribal casino on a road trip, stop to photograph the unseen community behind it. It's not easy to heal a culture when millions of Americans have their backs turned on them. Seeing is believing. The more people that learn and share our culture through imagery, the faster we will heal to be what we once were when America was ours. 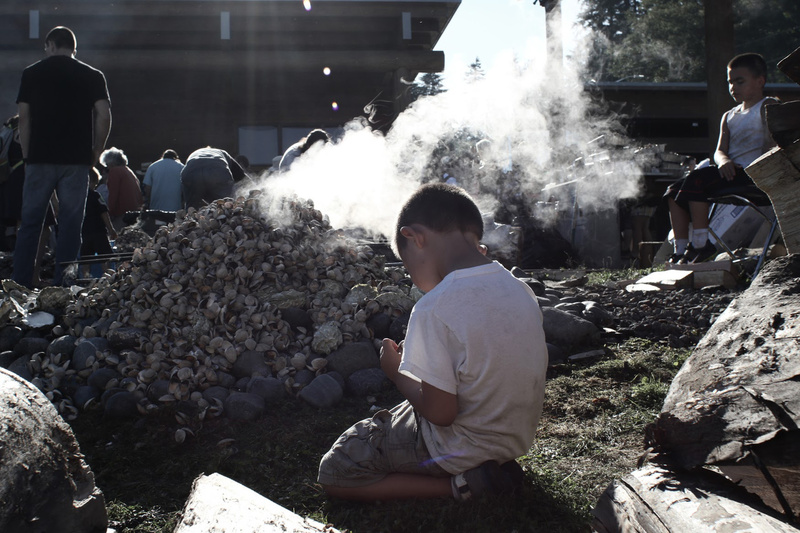 Young boy helps his tribe cook clams in the traditional way. Photo by Gabrielle Colton. 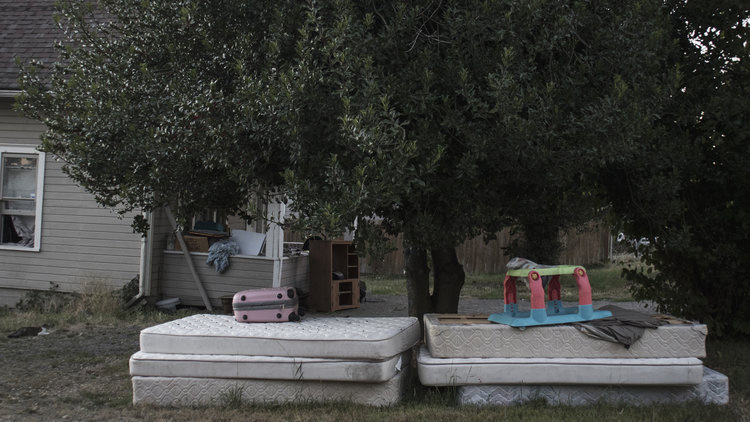 A reservation home showing signs of poverty, Photo by Gabrielle Colton. 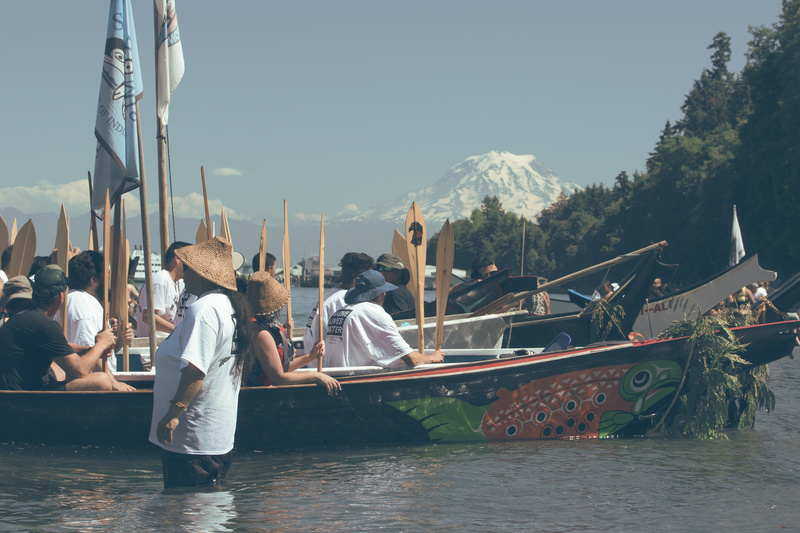 Tribal canoes landing in front or Mt Reiner, Washington State. Photo by Gabrielle Colton. 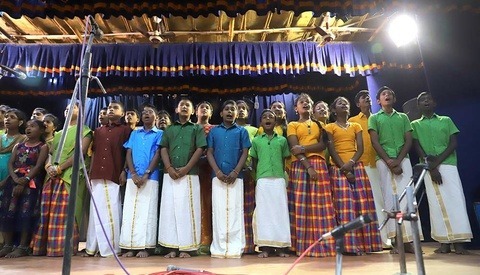 A group of young men singing traditional songs together beside the water. Photo by Gabrielle Colton. 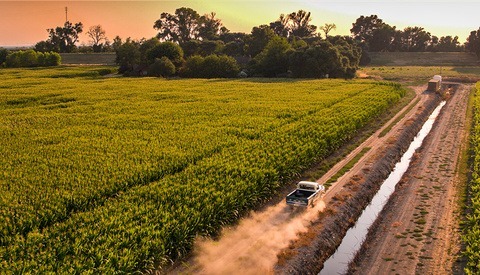 Very nice article and photos. I can't imagine these are representative of daily life, though. Perhaps you could do a follow up, and part of the overall project, depicting daily life for a cross section of Native Americans? I didn’t know Indians had a drinking or drug problem. I’ve always thought of Indians as majestic people, who’d rather die than assimilate. Of all the indigenous peoples on earth I think ours is the best and most special. The Indians come from tough brave stock. The way I see our history with the Indians, is that the Indian didn’t like the White Man and the White Man didn’t like the Indians. You know, no harm, no foul. What do you mean by "no harm, no foul"? You know, we just weren’t meant to be friends. Sad really, but sometimes that’s how it goes. I think the relationship between the White Man and the Indians is a bit more complicated than that. Europeans came, established a government, and took away their land. Even a lot the reservations they were given have been given on false promises only to be shrunk, or even taken away again. It's a really depressing topic once you dig into it. No, no it’s not really any more complicated than hatred of the White Man and I have read that to this day they the Indians still hate our guts. Now I know that’s not true of all Indians, but probably most. Yes, those that live on reservations are the people I’m talking about. People who have Indian heritage and are assimilated, I would say, are ambivalent, as most people are. Not true bob, we don't hate white people. We practice peace and acceptance of all things. Even at the pipeline we were praying for the abusive policemen and private contractors. So they hate white people for no reason? We don't hate white people for no reason, we don't hate anyone as a whole because that's not how our culture is. I believe that name of the state, Kentucky, means “dark and bloody ground.” The name deriving from brutal wars amongst the Indians. I agree with your assessment and I over simplified my comment, to distill it down to the, what I believe is the bare essence. Interesting, thanks for the input friend. Check where the link is again, and READ it, don't just try and pass it off as not applying to the USA. You're more than lucky that Gabrielle didn't tell you off and delete your comment, because if this were my article/website, I would have. Keep your neocon nonsense to Breitbart and the National Review where it belongs. You have a gift for storytelling, and for using your visual talents to share meaningful perspectives. Well done, and thank you for sharing. The video is labeled "Part I". Will other parts be available soon? On Zachary's Youtube page I don't see a Part II. Some of know only too well the problems associated with reservations. Their people come by night and steal our stuff and break into our homes and buildings. Then they drive back on the Rez and their cops stop us from chasing them and refuse to help our Police/Sheriff in catching them - even when we have it on video. Too many of their people get jobs then fail to show up for a few days to a week or more and then come back expecting to still have the job. BIA is a massive welfare program. Tribal members get their food allotment cards and sell them for fifty cents on the dollar. They bring much of this prejudice on themselves. With just a few tweaks, I or anybody else could say the same about white Americans such as yourself, in particular about how you sabotage yourselves by voting for politicians that work against your best interests, get you involved in foreign conflicts that do nothing but bring dead bodies and shattered lives home (and then who become homeless social wrecks much like the 'drunk Injun' stereotype people like you love to believe in), spend millions on military toys like the F-35 but won't spend money on social programs, public transit, or infrastructure, do things like be racist and buy a lot of guns, refuse to upgrade skills so that you're not dependent on resource extraction jobs like coal mining, etc. Who the frak are you to be giving Native American's any guff about how they conduct themselves? What you and Zach have done here is work that matters. In a world that spends so much time yelling at the internet, but no one is listening, we need to preserve and tell these life stories. 100 years from now, no one will care about the gazillions of foodies or selfies. Nor will they care about all the self-promotion and commercials that flood our every waking hour. What they will care about is historical documentation, preservation of a culture, untold stories, and issues that faced our time. On a smaller scale, they will want family images to document their heritage and genealogy. It, and mostly the comments, reminds me of this TedTalk, https://www.ted.com/talks/chimamanda_adichie_the_danger_of_a_single_story ,where the speaker talks about her experiences relative to differing cultures. Highly recommended. What a remarkable talk, that so well encapsulates what Gabrielle and Zach have done here. Thank you for this, Sam! A quote that stuck with me from the talk: "The single story creates stereotypes, and the problem with stereotypes is not that they are untrue, but that they are incomplete. They make one story become the only story." That's my favorite quote from the talk as well. I've recommended this to a lot of people since I first saw it. I'm always disappointed when they decline. I'm even more disappointed when they watch and have no reaction. Well as the saying goes, you can lead a horse to water, but you can’t make it drink! Great TedTalk. Thank you for sharing. Absolutely, I love this one! !